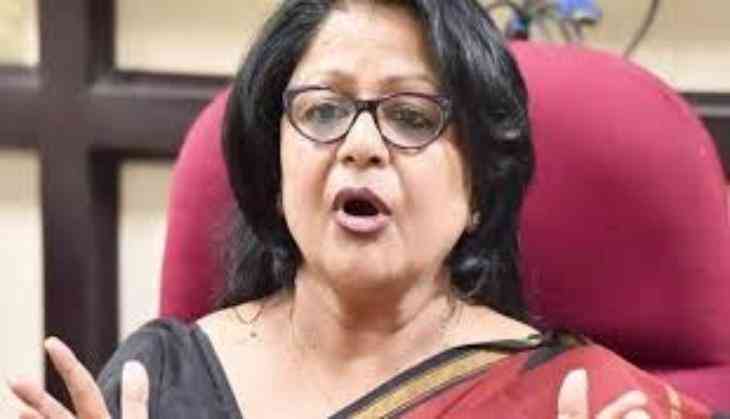 After getting expelled from Congress party for six years, former Delhi Congress leader Barkha Shukla Singh on 22 April joined the Bharatiya Janata Party. Shukla formally joined the BJP at party headquarters in presence of Shyam Jaju, the party's national vice-president. Congress had expelled Shukla Singh a day after she attacked its vice president Rahul Gandhi and Delhi unit chief Ajay Maken and quit as local women's wing chief. The disciplinary committee of Congress' Delhi unit removed her for indulging in "anti-party activities" days ahead of the municipal polls, where the party is hoping for a revival of fortunes after the 2015 assembly poll debacle. Singh, who had vowed not to quit the party, hit out at Rahul, saying the decision "proved" his "mental bankruptcy" and added that she will take legal recourse against it. "The Congress is not the Gandhi family's property," Singh said, claiming she had no plans to join the BJP or any other party at this point. The four-member disciplinary committee comprised of former Delhi minister Narender Nath, former Mahila Congress chief Abha Chaudhary, and party leaders Mahmood Zia and Surender Kumar. She earlier accused Gandhi of not meeting party leaders and said he was "reluctant" to address "issues" within the organisation. She also levelled allegations of "misbehaviour" against Maken. Singh, who had complained against "neglect" of women workers in ticket distribution for the April 23 civic polls, alleged that the party workers were "snubbed" and their grievances were not addressed.